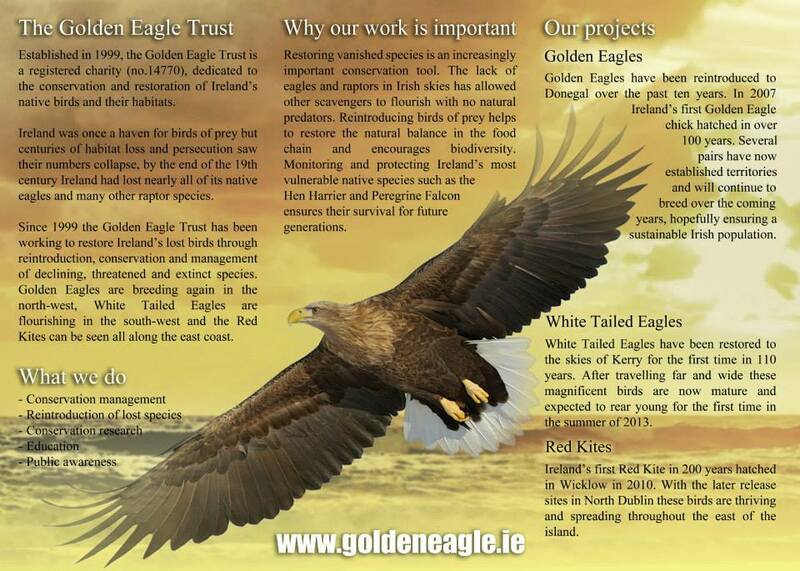 A project to re-introduce golden eagles to County Donegal and white-tailed (sea) eagles to County Kerry has been underway for a number of years. It is such a wonderful sight to see these magnificent birds circling high overhead but as with any re-introduction programme, not everyone is happy. A number of birds have died from poisoning, though it has not always been clear if the bait was left for the birds or for other wildlife. Either way, the practice is illegal for good reason. Recently the first Irish-bred white-tailed eagle was found dead in County Tipperary. The amount of shotgun pellet in the body left no doubt that the bird was the deliberate target. This entry was posted in Uncategorized and tagged April A to Z Challenge, Donegal, golden eagle, haiku, ireland, poetry, reintroduction. Bookmark the permalink.